Shingles. Anxiety. Sleepless nights. High blood pressure. Gun-shy decision-making. Significant loss in self-esteem & confidence. Unhealthy eating habits. Depression. A meager spiritual life. I’d experienced all of these by my 5th year in youth ministry. Now, I know many people think youth ministry is just organizing a fun game of dodgeball or sardines. I mean, how hard can it be? But it turns out, it’s pretty tough not just physically or mentally, but on the soul. – and janitor (cause lets face it, we all know who gets to clean up that messy game from last Wednesday). Add to these expectations (and more) the countless hours spent hanging-out with students at football games, Starbucks, Denny’s, musicals, and coaching girl’s basketball and you’ve got a pretty full schedule. And while many youth pastors have the ability to delegate some of these responsibilities, most will tell you that they are under-resourced with personal capability, adult personnel, and money to make many of these roles successful. The expectations are high. The desire is authentic. The reality is slim. Any given Sunday, there are a bunch of youth pastors on the verge of mental and spiritual breakdown. Now as I’ve gotten older, I’ve personally found healthier ways to deal with the difficulties of the job, and healthier contexts to do it in. 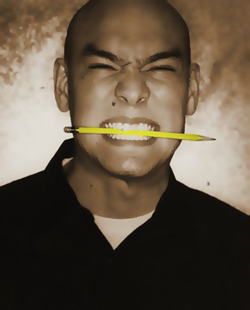 But today there are many young youth pastors who find themselves where I was a few years ago. If you aren’t involved in career ministry, it might come as a surprise that the spiritual leaders that care for your students at church are struggling in this way. And maybe it’s worth a look into the thoughts I’ve heard youth pastors say to each other but rarely to anyone else. So, with that in mind, here are a few things that are being kept inside. These might not all apply to all youth leaders, but chances are they’ve all thought them at some point or another. And it’s worth a look into the real struggles of these committed leaders. I know I’m the leader of an important ministry, but I’m also a person. When I get a vicious email or nasty criticism, it hurts. Many times I feel like the criticism comes from strangers rather than brothers and sisters in Christ. In fact, I’m often amazed at the harsh criticism I receive from people I don’t really know. If you’ve got concerns, could you please let me know while remembering I’m a real person with real feelings. I’m overworked and have a lot of students and their problems on my mind. There are lots of things I’d like to get done in better organization of our group, but the tyranny of what has to get done today and the sudden crisis that pop up in students’ lives rob me of time to deal with it all. I’m doing my best. Please give me some grace. I’ll get the parent newsletter out as soon as I can. Maybe I didn’t teach something last week that covered everything you’d like. Maybe I asked too many questions and didn’t give enough answers. But, I don’t always know what is going to get through to students. I have to try things. I’m trying to earn their trust and break through their apathy. And most likely, you don’t know what will work either or you’d be doing it yourself instead of expecting me to do it. Please work with me to find out what works and what doesn’t. I know you think that it’s your job to drop your kid off at our program and my job to make sure they grow up “Christian,” but the truth is I’m only responsible for my own spiritual growth. I can encourage, equip and inspire your student to follow Jesus, but parents have more influence in how that practically works out and ultimately it is something each student must choose for himself/herself. If you want more depth for your student, dig deeper with them. Don’t just expect me to do it. My life is a constant out-pouring of time and energy into people around me. I invite them to coffee, I go to their performances or do any number of other things that aren’t what I’d prefer to do at the moment. Many times I have to risk awkwardness and rejection to try and build relationships. But, almost no one does this for me. I’ve been invited over for lunch or dinner (without an agenda) only a few times. And rarely does anyone check-in on how I’m doing spiritually. I’m constantly giving of myself and very rarely receiving anything back. I feel very alone. I need someone to befriend me and pour into me. You probably don’t know this, but most of how we do youth ministry today is from the 1950’s and I’m not married to it. In fact, if it was totally up to me, I’d probably blow the whole thing up and re-dream it entirely to fit a new generation. But you have to understand I’m under a lot of pressure from leaders above me to keep a status quo and not “rock the boat too much.” I understand this thing isn’t doing all we hope it will do, but I’m making the most of what I’ve been commissioned to do. This job is not for bankers. I don’t work 9-to-5 on Monday through Friday. I work almost every day of the week, doing things you might not consider “hard work” but which nevertheless take me away from my family. A youth retreat is not a vacation for me. It’s a 100-hour work weekend away from my family. Please help me take care of my family. Offer to babysit. Send my wife and I on marriage renewal weekends. Or just check in on my family while I’m gone and see if they need anything. They pay a big price for my interaction with students, so honor them for it. My job is not a senior-pastor-in-training position. In fact, as hard as this is to believe, I might not ever want to be a senior-pastor. I do what I do because I value students. I’m not trying to climb a corporate church ladder. I care about the teenagers I see each week and I desperately want them to see the reality of the kingdom of God that exists around them. This job is the job I want when I grow up. I just hope I don’t grow up, so I can do this job forever. It’s no surprise that youth pastors are among the least paid on a church staff. I probably get paid half of what your senior-pastor makes, but you should know that it’s one of the most difficult tasks in church. Trust me, no senior-pastor or executive-pastor (as tough as their job is) wants to figure out how to simultaneously entertain, teach and emotionally grab a room full of 16-year-olds. In fact, most are scared to death just thinking about it. It’s a tough job, and we lose more good youth pastors every year because we don’t value what they do enough and they need more to live on. Is that a tough glimpse into what many youth pastors are feeling? Possibly. But I think it articulates what many have communicated to me or in certain cases what I myself have experienced. Of course, youth pastors will be quick to tell you, there are a bunch of great benefits to working within the body of Christ. Seeing young people make decisions that change their life, watching leaders grow and become all they can be, and living in the middle of human brokenness and seeing God bring healing is incredibly rewarding. And most of them find the drawbacks worth the incredible joy of working with students; I know I do. But giving these hidden struggles a voice is good. Too many young, good leaders are drowning in them because they don’t want to sound “whiny” or “ungrateful” or “incapable” of doing their job. And while we care for young people, we should also care about the people-caring-about-young-people. So next time you see your youth pastor in the church hall, give her a hug or take him to dinner. I promise you that most of them can identify with many of the statements above. And they might be better off if they know you do too. This entry was posted in Daily Life, Religion, Spirituality and tagged career christian, Christianity, christians, church, full-time ministry, ministry, pastor, senior pastor, top 10, top-ten, youth ministry, youth pastor. Bookmark the permalink. Well put bro. Re: number 4– I always have said just that (more or less) out loud to people and often made them uncomfortable. God gave the ME the assignment as DAD to raise my kids up in the Lord, not to me the youth minister for your kids. God ordained parents, not youth pastors. But we’ll be glad to help you parents give them a place to grow. By the way– we love having parent volunteers!! I’m really interested what you have to say about #7 about 1950’s model of youth ministry and what you would do instead. Keep it up. Much love to you and your family. And another thing, disertations like this one does not garner further support, unfortunately. It polarizes and further divides, assuming this has grown out of controversy. Just a thought………how much time does blogging take away from your family? Somthing to think about. This post is an attempt to recreate the voice of struggle that I hear from many youth pastors. It isn’t born out of any controversy that I know of, and certainly not out of any discontent that I personally might have in my current situation. It is my hope that it doesn’t “divide” but can be a source of encouragement for other youth pastors as they see that they are not alone in their struggle. Also, thank you for your concern about my family and the time blogging takes. However, I write pretty infrequently and when I do, I wake up at 5am before the rest of the family is even awake to get it done so it doesn’t subtract from my time with them or my job. Nice. I think alot of people get caught up in the oh they went to bible college they have it all figured out. they don’t need my support or friendship. lol youth pastors should post this on their office doors and put “before you speak please read and process”. lol sometimes you get so caught up your idea you don’t give any thought to how it might effect or offend the leader. Mark: thanks for the comment and I agree. It’s easy to get so caught up in the passion of your idea or criticism that you forget to temper it with kindness. I’m as guilty of this as anyone. It’s a good reminder to us all to always default into the posture of grace with other people. My response was not intended as criticism. I do not know you or your situation. I would have asked myself the same questions when dealing with similar issues. It appears to me that in your blog from last night you are reacting to something rather than just writing an article to “recreate the struggle” and help other ministers. In my opinion it was very passive/agressive as was your response to me especially in expressing your thanks for my concern for your family. I was somewhat perplexed by the fact that you mentioned that your blogging did not take time away from your job or your family. In my opinion it indicates that your blog post from last night and your answer to my comment was a reaction to questions that others may have raised, especially since I did not mention anything about your job in my comments. I am now aware of the frequency of your posts and when read via iPad or iPhone, the posting times are readily available. I wish you well. It is hard at times in ministry, however the rewards are great when we remain faithful to the Truth and to our calling. My prayer everyday is that God would help me live my life in a way that is worthy of the calling I have received. As ministers we are not perfect, but we must have a keen sense of our calling in Christ Jesus. That comes with burdens and blessings. Arggghhh, I just wrote a comment and then accidentally deleted it. Haha, my bad. Basically, I just said that I’m not trying to react or respond to anyone (you included) in a passive-aggressive way. I’m in a great ministry context with wonderful leaders and people who take good care of me. I simply think many pastors deal with these thoughts and are too scared to share how they really feel. I have received lots of good feedback from people about this post, and I appreciate your words of caution as well. Thank you writing this! I am in my first year of youth ministry and it is always comforting to know that I am not alone in my struggles when it comes to the demands of ministery. All of your observations are on point and I enjoyed reading it. It led me to tears when I realized how much ministry takes me away from my family and fiancée and it spurred a humbling conversation between him and I. Thank you! Father God, we ask that you give us a heavy burden for the lost. Lord show us your heart for the cateivps and broken-hearted, and show us how to minister to them effectively Lord. (Joel 3:14) Lord we ask for a great boldness to share the Gospel to everyone we come in contact with. God we know we are to be your disciples on this earth. So, help us to be disciples to all people, each and everyday. To be the salt and the light in this dark world we live in. Lord we intercede on behalf of America’s Christian leaders so that they would have great courage to preach, teach and minister to a dying world. (Matthew 28:19-20) We don’t need messages that make us feel good but that strengthen our Christian beliefs, faith and purpose, Lord. Birth that vision in our leaders Lord we pray. So that your Church can rule and reign on this earth and in our nation. So that the Church can walk in victory not as victims, Lord. We are a blessed people. Remind us of how blessed we are Lord. Father we ask that you would pour our Your Spirit on our nation so that millions would turn to Jesus and be saved from their sins and from eternal damnation. (Romans 10:13-15) And Lord we ask that you continue to watch over the Presidential Candidates. Keep them safe Lord. May they too be disciples of your Son Jesus and may Your Word be in their mouths Lord. God, grant them wisdom. Father, may your will be done in this election and may your disciples hear your voice and obey. In Jesus mighty name we pray AMEN!!! Nick, Thank you for your courage in sharing some of the truth of what a youth pastor is likely feeling. Anytime we become transparent and honest, we are going to disappoint someone who feels that we should always “put on a smiley face” for Jesus. They will make it a mission in life to “set you straight” before you ruin the tranquility of Christian Establishment. Unfortunately, the role of Youth Minister can be a paradox. You are frequently surrounded by mobs of people, yet you can feel really alone in your efforts to meet all their needs. The rest of us stand by, afraid to volunteer because we do not feel a connection to youth. I have no advice, and I do not think you are asking for any. IMHO, it is great that you are keeping us “in the loop” about the reality of your ministry. The fact that the path is so difficult should not suggest that God is not using it to rescue and save the souls He has gifted into your care. Sometimes the best measure of how effective our ministry is can be seen in how much it personally costs us to do it. I, for one, think you are a success. thank you, Ron, for your encouraging comments. I was writing to give a voice to the many things that youth pastors all over the place feel and I’m glad to have given them a voice. Thank you for posting this! This is exactly how I have been feeling for the past year now and it is so relieving to know that I am not alone in these feelings… Thank you again!!! Thank you for sharing the secrets behind being a youth pastor or, in my situation, a volunteer youth leader. As one of the youth leaders in our church, we see these played out every week. The one I struggle with the most is number 4 and number 6. I often wonder if parents are considered about their children’s spiritual well being as it often appears they are not concerned about their own. We see the parents drive up, drop off, and head out only to return after service has ended(sometimes long after service has ended). We have the kids for 1-2 hours a week, they have them much more. Feed your kids. As for number six: Relationships are important. That is why we pour so much into the younger generation. We know they need guidance and leadership and friendship. We need that too. I, and I know others, struggle with finding deep, quality relationships in the church. It is something that causes a lot of burnout. EVERY church member needs to read your post! I think it would open their eyes to not only how tough youth ministry is but to the fact that a lot of them are the ones that are needlessly making it tougher. I feel that a lot of comments that are made to the youth pastor are not necessarily meant to tear him/her down but after one receives 10 in any given day it tends to wear on a brotha (or sista). Great article, every point. 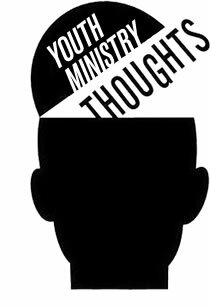 Been in youth ministry for 8 years at one church and I would have sworn you crawled into my head and stole my thoughts. Some commentators need to re-read #5. I’ve been the Youth Pastor/Youth Director of a small church since 2009. At least 4 of these points are relevant to my situation, its even worse when you begin to resent the partiality of others (who do little) over the labor of love you perform within the church for the children. I’ve said this for years… please know my hearts desire is in the youth ministry, but I have found that the burden a youth pastor/director has for the youth in this ministry, is nothing compared to the burden that he/she inherits from this ministry. 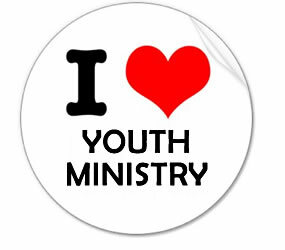 Truly the youth ministry is one of the toughest ministries to commit to. Having to edify and possibly correct (with love and scripture) other people’s children, surely is a ministry that deserves and requires prayers, grace and endurance. 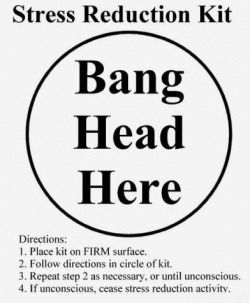 This to all you youth ministers and youth minister families… Hang in there, as Paul said, finish this race! Don’t give up! Yes, he said in Philippians ‘I can do all things through Christ who strengthens me’ but Christ said, in John 15 ‘without me ye can do nothing’… Pray for strength, grace, and guidance from Christ and through Christ, do nothing without him, because without him nothing will come from it… Do all things with him ‘Behold the Lamb of God’ and continue the course! If we don’t do it, the young generation behind us will be lost! We can’t fail them, but most importantly we can’t fail the Lord! Youth ministry has it’s unique struggles, and I’m glad you put a voice to them so people can know how to support their youth pastors. I do however think any time someone starts comparing ministries saying one is harder than another, you are on slippery ground. All ministry has parts that make it hard and parts that make it a joy. Preaching and executive pastors often carry a heavy burden no one ever sees, and their family also has to sacrifice. I’m sure you are well aware of this. I just get uncomfortable when pastors start trying to determine who has a harder job, and pay grade, etc. It’s easier to be supportive without statements like that. This is brilliant, such truth! Thanks for writing this!